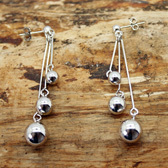 A chic and funky pair of earrings from RP Designs. 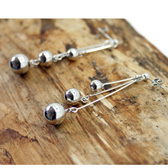 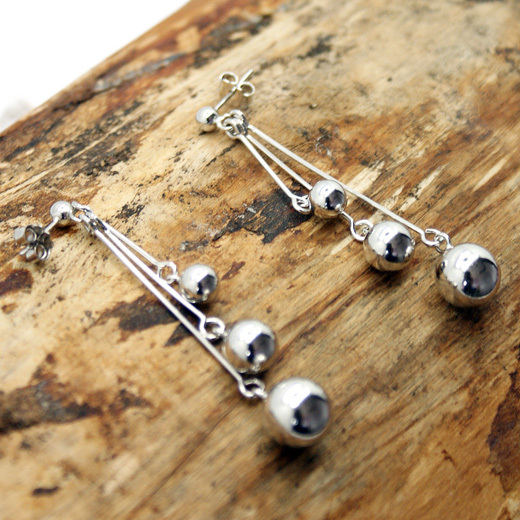 These well made sterling silver fixed post earrings feature three silver balls suspended at different lengths on three strands. 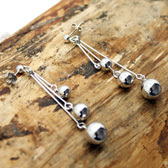 These earrings will add an individual touch to any outfit. 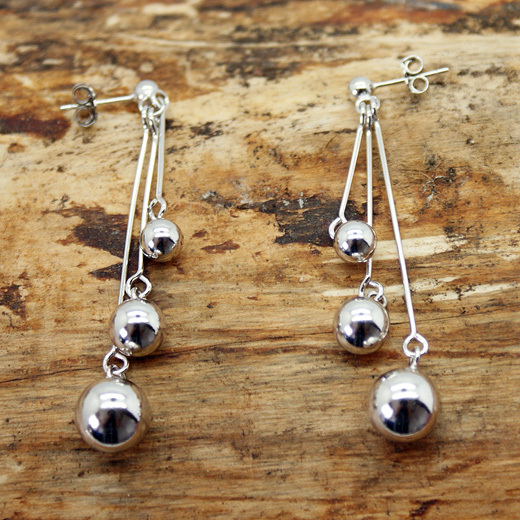 They are simply a beautiful piece of jewellery.